My blog has been quiet over the last six months. The reason? I’ve been writing a book with Andy Brown, In Time for Tomorrow? which will be out on January 14th, price £11.99. 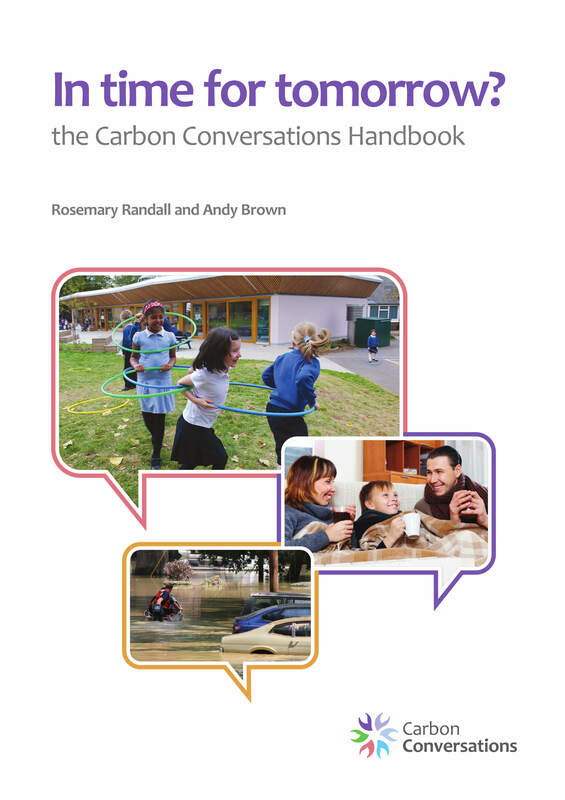 “This lovely handbook covers it all, with sage guidance on delving into climate debates, reducing your own carbon footprint, and encouraging community action. It reckons honestly with the psychological impacts of a crisis that is far too easy for many of us to deny in our everyday lives…” Naomi Klein, author of This Changes Everything and The Shock Doctrine. “…truly remarkable…explores the landscape of hope…generates lasting enthusiasm…” George Marshall, author of Don’t Even Think About It: Why Our Brains are Wired to Ignore Climate Change. Order a copy for £11.99, including p&p by clicking the button below. Cambridge: Monday 9th February, 6pm – 7.30pm. Scott Polar Research Institute, Cambridge. In time for tomorrow: Why is climate change so easy to ignore? A talk and reception with Rosemary Randall and Andy Brown. Further details from Rosie Amos ra395@cam.ac.uk. Edinburgh: Thursday, 19th February 2015, 5.00 – 7.00 pm, Edinburgh Centre for Carbon Innovation (ECCI), High School Yards, Edinburgh EH1 1LZ. To book click here. Rosemary Randall and Andy Brown offer empathy, encouragement and a practical path to anyone who is concerned about climate change, but can feel lost, angry or powerless. Written for their ground-breaking Carbon Conversations groups, In Time for Tomorrow? will help you minimise your impact, confront everyday denial, and give you the courage to speak out. 214 pp, full colour, illustrated with more than 80 stories from people initiating change in their personal and collective lives. In Time for Tomorrow, by Rosemary Randall and Andy Brown, published by The Surefoot Effect, ISBN 978-0-9931211 0-4, £11.99. You are currently browsing entries tagged with George Marshall at Rosemary Randall.